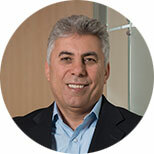 Ali H. Mokdad, PhD, is a Professor of Health Metrics Sciences at the Institute for Health Metrics and Evaluation (IHME) and Chief Strategy Officer for Population Health at the University of Washington. The Population Health Initiative was launched by President Ana Mari Cauce to create a shared vision for improving the health and well-being of populations locally and around the world. As a public health researcher, Dr. Mokdad has published groundbreaking work on local-level disease trends and some of the leading risk factors for poor health. His work on obesity is among the most highly cited in the field. As Director of Middle Eastern Initiatives for IHME, Dr. Mokdad builds IHME's presence in the Middle East through new research projects, dissemination and uptake of IHME's methods and results, and consultations with regional leaders in population health. Dr. Mokdad is the principal investigator for the monitoring and evaluation of the Salud Mesoamerica Initiative, which provides independent evaluation for the public-private partnership between the Mesoamerican countries, private foundations, and bilateral donors. This partnership seeks to reduce inequities in the coverage of basic health services among the poorest populations in Mesoamerica. He is also the principal investigator of “Visualizing the impact and cost of interventions on future projections of diarrhea burden,” whose goal is to provide 25 years of forecasting for diarrheal disease burden and a simulation for the cost-effectiveness of known and developing interventions. Prior to joining IHME, Dr. Mokdad worked at the US Centers for Disease Control and Prevention (CDC), starting his career there in 1990. He served in numerous positions with the International Health Program; the Division of Nutrition and Physical Activity; the National Immunization Program; and the National Center for Chronic Diseases Prevention and Health Promotion, where he was Chief of the Behavioral Surveillance Branch. He also managed and directed the Behavioral Risk Factor Surveillance System (BRFSS), the world’s largest standardized telephone survey, which enables the CDC, state health departments, and other health and education agencies to monitor risk behaviors related to the leading causes of morbidity and mortality in the United States. Dr. Mokdad has published more than 450 articles and numerous reports. He has received several awards, including the Global Health Achievement Award for his work in Banda Aceh after the tsunami, the Department of Health and Human Services Honor Award for his work on flu monitoring, and the Shepard Award for outstanding scientific contribution to public health for his work on BRFSS. He received his BS in Biostatistics from the American University of Beirut and his PhD in Quantitative Epidemiology from Emory University. 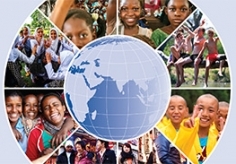 IHME was founded in 2007 at the University of Washington to provide better evidence to improve health globally by guiding health policy and funding. Azzopardi PS, Hearps SJC, Francis KL, Kennedy EC, Mokdad AH, Kassebaum NJ, Lim S, Irvine CMS, Vos T, Brown AD, Dogra S, Kinner SA, Kaoma NS, Naguib M, Reavley NJ, Requejo J, Santelli JS, Sawyer SM, Skirbekk V, Temmerman M, Tewhaiti-Smith J, Ward JL, Winer RM, Patton GC. Progress in adolescent health and wellbeing: tracking 12 headline indicators for 195 countries and territories, 1990–2016. The Lancet. 12 March 2019. doi:10.1016/S0140-6736(18)32427-9. Brady OJ, Osgood-Zimmerman A, Kassebaum NJ, Ray SE, de Araújo VEM, da Nóbrega AA, Frutuoso LCV, Lecca RCR, Stevens A, Zoca de Oliveira B, de Lima JM, Bogoch II, Mayaud P, Jaenisch T, Mokdad AH, Murray CJL, Hay SI, Reiner RC, Marinho F. The association between Zika virus infection and microcephaly in Brazil 2015–2017: An observational analysis of over 4 million births. PLoS Medicine. 5 March 2019. doi:10.1371/journal.pmed.1002755. McNellan CR, Dansereau E, Wallace MCG, Colombara DV, Palmisano EB, Johanns CK, Schaefer A, Ríos-Zertuche D, Zúñiga-Brenes P, Hernandez B, Iriate E, Mokdad AH. Antenatal care as a means to increase participation in the continuum of maternal and child healthcare: an analysis of the poorest regions of four Mesoamérican countries. BMC Pregnancy and Childbirth. 12 Feb 2019;19:66. doi:10.1186/s12884-019-2207-9. El Bcheraoui C, Kamath AM, Dansereau E, Palmisano EB, Schaefer A, Hernandez B, Mokdad AH. Results-based aid with lasting effects: sustainability in the Salud Mesoamérica Initiative. Globalization and Health. 16 Oct 2018;14(1):97. doi:10.1186/s12992-018-0418-x. Khalil IA, Troeger C, Blacker BF, Rao PC, Brown A, Atherly DE, Brewer TG, Engmann CM, Houpt ER, Kang G, Kotloff KL, Levine MM, Luby SP, MacLennan CA, Pan WK, Pavlinac PB, Platts-Mills JA, Qadri F, Riddle MS, Ryan ET, Shoultz DA, Steele AD, Walson JL, Sanders JW, Mokdad AH, Murray CJL, Hay SI, Reiner RC. Morbidity and mortality due to shigella and enterotoxigenic Escherichia coli diarrhoea: the Global Burden of Disease Study 1990–2016. The Lancet Infectious Diseases. 25 September 2018. doi:10.1016/S1473-3099(18)30475-4. Duber HC, Hartford EA, Schaefer AM, Johanns CK, Colombara DV, Iriarte E, Palmisano EB, Rios-Zertuche D, Hernandez-Prado B, Mokdad AH. Appropriate and timely antibiotic administration for neonatal sepsis in Mesoamérica. BMJ Global Health. 2018;3:e000650. doi: 10.1136/bmjgh-2017-000650. El Bcheraoui C, Jumaan AO, Collison ML, Daoud F, Mokdad AH. Health in Yemen: losing ground in war time. Globalization and Health. 2018 Apr; 14:42. doi: 10.1186/s12992-018-0354-9. Carlson S, Duber HC, Achan J, Ikilezi G, Mokdad AH, Stergachis A, Wollum A, Bukhman G, Roth GA. Capacity for diagnosis and treatment of heart failure in sub-Saharan Africa. Heart. 2017 May 10. doi: 10.1136/heartjnl-2016-310913. Duncan BB, Schmidt MI, Cousin E, Moradi-Lakeh M, de Azeredo Passos VM, Franca EB, Marinho F, Mokdad AH. The burden of diabetes and hyperglycemia in Brazil – past and present: findings from the Global Burden of Disease Study 2015. Diabetology & Metabolic Syndrome. 2017 Mar 14;9(18). doi: 10.1186/s13098-017-0216-2. Moradi-Lakeh M, El Bcheraoui C, Afshin A, Daoud F, AlMazroa MA, Al Saeedi M, Basulaiman M, Memish ZA, Al Rabeeah AA, Mokdad AH. Diet in Saudi Arabia: findings from a nationally representative survey. Public Health Nutrition. 10 Oct 2016. doi:10.1017/S1368980016003141. Moradi-Lakeh M, El Bcheraoui C, Tuffaha M, Daoud F, Al Saeedi M, Basulaiman M, Memish ZA, Al Mazroa MA, Al Rabeeah AA, Mokdad AH. The health of Saudi youths: current challenges and future opportunities. BMC Family Practice. 2016 March 5; 17:26. doi: 10.1186/s12875-016-0425-z. El Bcheraoui C, Tuffaha M, Daoud F, Kravitz H, Al Mazroa MA, Al Saeedi M, Memish ZA, Basulaiman M, Al Rabeeah AA, Mokdad AH. On your mark, get set, go levels of physical activity in the Kingdom of Saudi Arabia, 2013. Journal of Physical Activity and Health. 2016 Feb;13(2):231-8. doi: 10.1123/jpah.2014-0601. Colombara DV, Hernández B, McNellan CR, Desai SS, Gagnier MC, Haakenstad A, Johanns C, Palmisano EB, Ríos-Zertuche D, Schaefer A, Zúñiga-Brenes P, Zyznieuski N, Iriarte E, Mokdad AH. Diarrhea prevalence, care, and risk factors among poor children under 5 years of age in Mesoamerica. The American Journal of Tropical Medicine and Hygiene. 2016 Jan 19. doi: 10.4269/ajtmh.15-0750. El Bcheraoui C, Tuffaha M, Daoud F, Kravitz H, AlMazroa MA, Al Saeedi M, Memish ZA, Basulaiman M, Al Rabeeah AA, Mokdad AH. Use of dental clinics and oral hygiene practices in the Kingdom of Saudi Arabia, 2013. International Dental Journal. 2016 Jan 7. doi: 10.1111/idj.12210. Tuffaha M, El Bcheraoui C, Daoud F, Al Hussaini HA, Alamri F, Al Saeedi M, Basulaiman M, Memish ZA, AlMazroa MA, Al Rabeeah AA, Mokdad AH. Deficiencies under plenty of sun: Vitamin D status among adults in the Kingdom of Saudi Arabia, 2013. North American Journal of Medical Sciences. 2015; 7(10):467-475. doi: 10.4103/1947-2714.168675. Daoud F, El Bcheraoui C, Tuffaha M, AlMazroa MA, Al Saeedi M, Nooh RM, Al Rayess Z, Al-Raddadi RM, Memish ZA, Basulaiman M, Al Rabeeah AA, Mokdad AH. The health status of Saudi women: findings from a national survey. Journal of Public Health. 2015 Oct 29. doi: 10.1093/pubmed/fdv157. Mokdad AH, Gagnier MC, Colson KE, Dansereau E, Zúñiga-Brenes P, Ríos-Zertuche D, et al. Missed Opportunities for Measles, Mumps, and Rubella (MMR) Immunization in Mesoamerica: Potential Impact on Coverage and Days at Risk. PLoS ONE . 2015; 10(10): e0139680. doi:10.1371/journal.pone. 0139680. Moradi-Lakeh M, El Bcheraoui C, Daoud F, Tuffaha M, Wilson S, Al Saeedi M, Basulaiman M, Memish ZA, AlMazroa MA, AlRabeeah AA, Stergachis A, Mokdad AH. Medication use for chronic health conditions among adults in Saudi Arabia: findings from a national household survey. Pharmacoepidemiology & Drug Safety. 2015 Oct 22. doi: 10.1002/pds.3904. Moradi-Lakeh M, El Bcheraoui C, Daoud F, Tuffaha M, Kravitz H, Al Saeedi M, Basulaiman M, Memish ZA, AlMazroa MA, Al Rabeeah AA, Mokdad AH. Prevalence of asthma in Saudi adults: findings from a national household survey, 2013. BMC Pulmonary Medicine. 2015 Jul 28; 15:77. doi:10.1186/s12890-015-0080-5. El Bcheraoui C, Tuffaha M, Daoud F, AlMazroa MA, Al Saeedi M, Memish ZA, Basulaiman M, Al Rabeeah AA, Mokdad AH. Low uptake of periodic health examinations in the Kingdom of Saudi Arabia, 2013. Journal of Family Medicine and Primary Care. 2015; 4(3):342-346. doi: 10.4103/2249-4863.161313. Mokdad AH, Gagnier MC, Colson KE, Zúñiga-Brenes P, Ríos-Zertuche D, Haakenstad A, Palmisano EB, Anderson BW, Desai SS, Gillespie CW, Murphy T, Naghavi P, Nelson J, Ranganathan D, Schaefer A, Usmanova G, Wilson S, Hernandez B, Lozano R, Iriarte E. Health and wealth in Mesoamerica: findings from Salud Mesoamérica 2015. BMC Medicine. 2015 Jul 14; 13:164. doi:10.1186/s12916-015-0393-5. Moradi-Lakeh M, El Bcheraoui C, Tuffaha M, Daoud F, Al Saeedi M, Basulaiman M, Memish ZA, AlMazroa MA, Al Rabeeah AA, Mokdad AH. Tobacco consumption in the Kingdom of Saudi Arabia, 2013: findings from a national survey. BMC Public Health. 2015 Jul 5; 15:611. doi: 10.1186/s12889-015-1902-3. Mokdad AH, Tuffaha M, Hanlon M, El Bcheraoui C, Daoud F, Al Saeedi M, Alrasheedy AA, Al Hussein MA, Memish ZA, Basulaiman M, AlMazroa MA, Al Rabeeah AA. Cost of diabetes in the Kingdom of Saudi Arabia, 2014. Journal of Diabetes & Metabolism. 2015; 6:575. doi:10.4172/2155-6156.1000575. Colson KE, Zúñiga-Brenes P, Ríos-Zertuche D, Conde-Glez C, Gagnier MC, Palmisano E, Ranganathan D, Usmanova G, Salvatierra B, Nazar A, Tristao I, Sanchez Monin E, Anderson BW, Haakenstad A, Murphy T, Lim S, Hernandez B, Lozano R, Iriarte E, Mokdad AH. Comparative estimates of crude and effective coverage of measles immunization in low-resource settings: Findings from Salud Mesoamérica 2015. PLOS One. 2015 Jul 2. doi: 10.1371/journal.pone.0130697. Colombara DV, Hernández B, Gagnier MC, Johanns C, Desai SS, Haakenstad A, McNellan CR, Palmisano EB, Ríos-Zertuche D, Schaefer A, Zúñiga-Brenes P, Zyznieuski N, Iriarte E, Mokdad AH. Breastfeeding practices among poor women in Mesoamerica. The Journal of Nutrition. 2015 Jul 1. doi:10.3945/​jn.115.213736. El Bcheraoui C, Tuffaha M, Daoud F, Kravitz H, AlMazroa MA, Al Saeedi M, Memish ZA, Basulaiman, Al Rabeeah AA, Mokdad AH. Access and barriers to health care in the Kingdom of Saudi Arabia, 2013: findings from a national multistage survey. BMJ Open. 2015;5(6):e007801. doi: 10.1136/bmjopen-2015-007801. Colson KE, Potter A, Conde-Glez C, Hernandez B, Ríos-Zertuche D, Zúñiga-Brenes P, SM2015 Collaborators, Iriarte E, Mokdad AH. Use of a commercial ELISA for the detection of measles-specific immunoglobulin G (IgG) in dried blood spots collected from children living in low-resource settings. Journal of Medical Virology. 2015 May 18; 87:1491–1499. Moradi-Lakeh M, El Bcheraoui C, Tuffaha M, Daoud F, Al Saeedi M, Basulaiman M, Memish ZA, AlMazroa MA, Al Rabeeah AA, Mokdad AH. Self-rated health among Saudi adults: Findings from a national survey, 2013. Journal of Community Health. 2015 Mar 21. doi: 10.1007/s10900-015-0014-4. Mokdad AH, Colson KE, Zúñiga-Brenes P, Ríos-Zertuche D, Palmisano EB, Alfaro-Porras E, Anderson BW, Borgo M, Desai S, Gagnier MC, Gillespie CW, Giron SL, Haakenstad A, López Romero S, Mateus J, McKay A, Mokdad AA, Murphy T, Naghavi P, Nelson J, Orozco M, Ranganathan D, Salvatierra B, Schaefer A, Usmanova G, Varela A, Wilson S, Wulf S, Hernandez B, Lozano R, Iriarte E, Regalia F. Salud Mesoamérica 2015 Initiative: design, implementation, and baseline findings. Population Health Metrics. 2015 Feb 7; 13:3. doi:10.1186/s12963-015-0034-4. El Bcheraoui C, Basulaiman M, AlMazroa MA, Tuffaha M, Daoud F, Wilson S, Al Saeedi MY, Alanzi FM, Ibrahim ME, Ahmed EM, Hussain SA, Salloum RM, Abid O, Al-Dossary MF, Memish ZA, Rabeeah AAA, Mokdad AH. Fruit and vegetable consumption among adults in Saudi Arabia, 2013. Journal of Nutrition and Dietary Supplements. 2015 Feb; 7:41-49. doi: 10.2147/NDS.S77460. Kovacs SD, Mullholland K, Bosch J, Campbell H, Forouzanfar MH, Khalil I, Lim S, Liu L, Maley SN, Mathers CD, Matheson A, Mokdad AH, O’Brien K, Parashar U, Schaafsma TT, Steele D, Hawes SE, Grove JT. Deconstructing the differences: a comparison of GBD 2010 and CHERG’s approach to estimating the mortality burden of diarrhea, pneumonia, and their etiologies. BMC Infectious Diseases. 2015 Jan 16; 15(16). doi:10.1186/s12879-014-0728-4. El Bcheraoui C, Basulaiman M, Tuffaha M, Daoud F, Robinson M, Jaber S, Mikhitarian S, Wilson S, Memish ZA, Al Saeedi M, AlMazroa MA, Mokdad AH. Get a license, buckle up, and slow down: Risky driving patterns among Saudis. Traffic Injury Prevention. 2014 Dec 31; 16(6):587-592. Memish ZA, El Bcheraoui C, Tuffaha M, Robinson M, Daoud F, Jaber S, Mikhitarian S, Al Saeedi M, AlMazroa MA, Mokdad AH, Al Rabeeah AA. Obesity and associated factors - Kingdom of Saudi Arabia, 2013. Preventing Chronic Disease. 2014; 11:140236. doi: 10.5888/pcd11.140236. El Bcheraoui C, Basulaiman M, Tuffaha M, Daoud F, Robinson M, Jaber S, Mikhitarian S, Memish ZA, Al Saeedi M, AlMazroa MA, Mokdad AH. Status of the diabetes epidemic in the Kingdom of Saudi Arabia, 2013. International Journal of Public Health. doi: 10.1007/s00038-014-0612-4. El Bcheraoui C, Basulaiman M, AlMazroa MA, Daoud F, Tuffaha M, Wilson S, Gonzalez-Medina D, Memish ZA, Al Saeedi M, Mokdad AH. Reported stroke symptoms and their associated risk factors in the Kingdom of Saudi Arabia, 2013. Journal of Hypertension. 2014 Oct 1; 3:177. doi: 10.4172/2167-1095.1000177. Basulaiman M, El Bcheraoui C, Tuffaha M, Robinson M, Daoud F, Jaber S, Mikhitarian S, Wilson S, Memish ZA, Al Saeedi M, AlMazroa MA, Mokdad AH. Hypercholesterolemia and its associated risk factors — Kingdom of Saudi Arabia, 2013. Annals of Epidemiology. 2014 Aug 20. doi: /10.1016/j.annepidem.2014.08.001. El Bcheraoui C, Memish ZA, Tuffaha M, Daoud F, Robinson M, Jaber S, Mikhitarian S, Al Saeedi M, AlMazroa MA, Mokdad AH, Al Rabeeah AA. Hypertension and its associated risk factors in the Kingdom of Saudi Arabia, 2013: A national survey. International Journal of Hypertension. 2014 Aug. doi: 10.1155/2014/564679. *Roth GA, Gillespie CW, Mokdad AH, Shen DD, Fleming DW, Stergachis A, Murray CJL, Mokdad AH. Aspirin use and knowledge in the community: a population- and health facility based survey for measuring local health system performance. BMC Cardiovascular Disorders. 2014 Feb 7; 14(1). Abdul Rahim HF, Sibai A, Khader Y, Hwalla N, Fadhil I, Alsiyabi H, Mataria A, Mendis S, Mokdad AH, Husseini A. Non-communicable diseases in the Arab world. The Lancet. 2014 Jan 20. DOI: 10.1016/S0140-6736(13)62383-1. Rahim HF, Abdul AS, Khader Y, Hwalla N, Fadhil I, Alsiyabi H, Mataria A, Mendis S, Mokdad AH, Husseini A. Non-communicable diseases in the Arab world. The Lancet. 2014 Jan; 383(9914). El Bcheraoui C, Gómez AIN, Abrego MAD, Gagnier MC, Sutton MY, Mokdad AH. Disparities in HIV screening among pregnant women – El Salvador, 2011. PLoS ONE. 2013 Dec 9; 8(12). Al-Nsour M, Zindah M, Belbeisi A, Rolle IV, Walke H, Strine T, Perry GS, Jarrar B, Mokdad A. Frequent mental distress, chronic conditions, and adverse health behaviors in the Behavioral Risk Factor Surveillance Survey, Jordan, 2007. Preventing Chronic Disease. 2013 Aug 22; 10. Olives C, Myerson R, Mokdad AH, Murray CJL, Lim SS. Prevalence, awareness, treatment, and control of hypertension in United States counties, 2001-2009. PLoS ONE. 2013;8(4);e60308. Usmanova G, Mokdad AH. Results of the Global Youth Tobacco Survey and implementation of WHO Framework Convention on Tobacco Control in former Soviet Union countries. International Journal of Public Health, December 2012. Wetmore CM, Mokdad AH. In denial: misperceptions of weight change among adults in the United States. Preventive Medicine. 2012; 55(2):93-100. Takayama M, Wetmore CM, Mokdad AH. Characteristics associated with the uptake of influenza vaccination among adults in the United States. Preventive Medicine. 2012; 54:358-362. Lim SS, Mokdad A. Socioeconomic inequalities and infectious disease burden. The Lancet. 2012. DOI: 10.1016/S0140-6736(12)60151-2. Roth GA, Fihn SD, Mokdad AH, Aekplakorn W, Hasegawa T, Lim SS. High total serum cholesterol, medication coverage and therapeutic control: an analysis of national health examination survey data from eight countries. The Bulletin of the World Health Organization. 2011;89:92–101. Roth GA, Fihn SD, Mokdad AH, Aekplakorn W, Hasegawa T, Lim SS. High total serum cholesterol, medication coverage and therapeutic control: An analysis of national health examination survey data from eight countries. Bulletin of the World Health Organization. 2011; 89:92-101. Srebotnjak T, Mokdad AH, Murray CJL. A novel framework for validating and applying standardized small area measurement strategies. Population Health Metrics. 2010; 8:26. Ford ES, Zhao G, Li C, Pearson WS, Mokdad AH. Trends in obesity and abdominal obesity among hypertensive and nonhypertensive adults in the United States. Am J Hypertens. 2008; 21(10):1124-8. Saade G, Warren CW, Jones NR, Asma S, Mokdad A. Linking Global Youth Tobacco Survey (GYTS) data to the WHO Framework Convention on Tobacco Control: The case for Lebanon. Prev Med. 2008. Link M, Battaglia M, Frankel M, Osborn L, Mokdad A. Comparison of address-based sampling (ABS) versus random-digit dialing (RDD) for general population surveys. Public Opinion Quarterly. 2008; 72:6-27. Okoro CA, Denny CH, McGuire LC, Balluz LS, Goins RT, Mokdad AH. Disability among older American Indians and Alaska Natives: disparities in prevalence, health-risk behaviors, obesity, and chronic conditions. Ethnicity & Disease. 2007; 17:686-92. Balluz L, Wen X, Town M, Shire J, Qualter J, Mokdad A. Ischemic heart disease and ambient air pollution of particulate matter 2.5 in 51 counties in the U.S. Public Health Reports. 2007; 122(5):626-33. Ford ES, Mokdad AH, Link MW, Garvin WS, McGuire LC, Jiles RB, Balluz LS. Chronic disease in health emergencies: in the eye of the hurricane. Prev Chronic Dis. 2006; 3(2):A46. Mokdad AH, Marks JS, Stroup D, Gerberding JL. Actual causes of death in the United States, 2000. JAMA. 2004; 291:1238-45. Mokdad AH, Bales VS, Greenlund KJ, Mensah GA. Public health surveillance for disease prevention: lessons from the Behavioral Risk Factor Surveillance System. Ethn Dis. 2003; 13(S2):S123-7. Mokdad AH, Bowman BA, Ford ES, Vinicor F, Marks JS, Koplan JP. The continuing epidemics of obesity and diabetes in the US. JAMA. 2001; 286:1195-1200. Mokdad AH, Serdula MK, Dietz WH, Bowman BA, Marks JS, Koplan JP. The spread of the obesity epidemic in the US. JAMA. 1999; 282:1519-22.